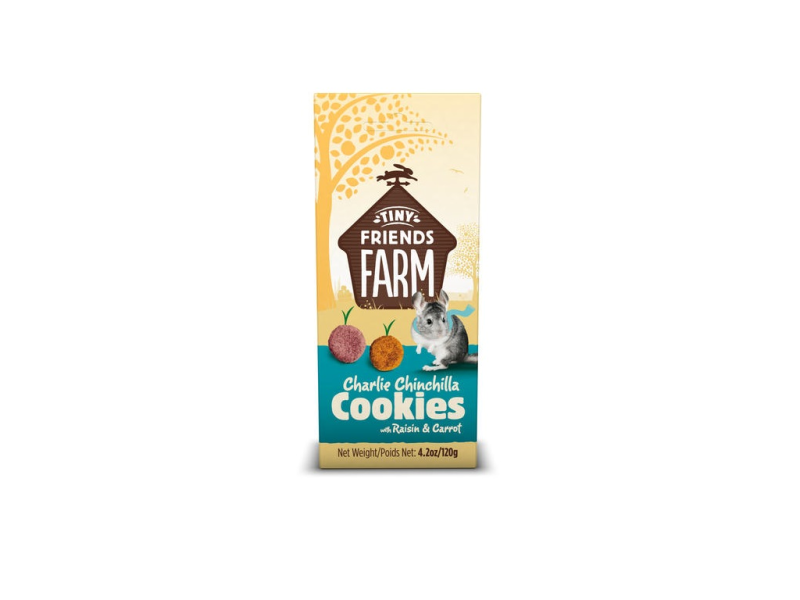 Supreme Tiny Friends Farm Charlie Chinchilla Cookies are tasty, crunchy baked bites from a human-grade bakery, made with the wholesome, tasty goodness of natural grains and real whole raisins and carrots. Charlie Chinchilla Cookies are also suitable for rabbits, guinea pigs, hamsters, gerbils, mice and rats. Feed as a tasty treat to complement your pet’s regular diet. Feed 1-2 treats per day, depending on the size of your pet. Remember to give your chinchillas lots and lots of fresh hay every day, as well as their daily portion of Charlie Chinchilla Tasty Mix. Your chinchillas will also need free access to clean drinking water all the time, and will enjoy a small handful of yummy fresh leafy greens every day. Whole wheat flour, oatmeal, wheat bran, wheat middlings, sugar, carrots (6% in orange biscuits), raisins (6% in red biscuits), soya oil. 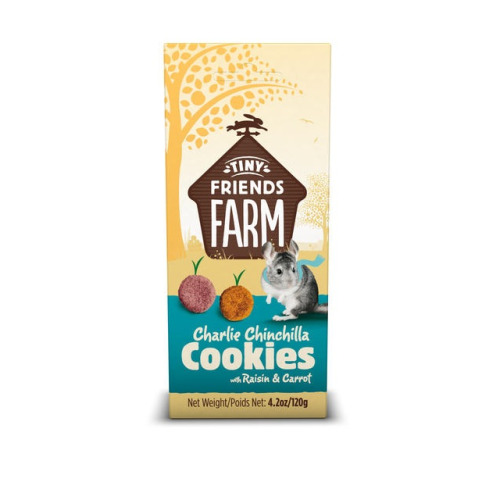 There are currently no questions for Supreme Tiny Friends Farm Charlie Chinchilla Cookies - be the first to ask one!